Israeli soldiers abducted, on Tuesday at dawn, six Palestinians, including a journalist, from the northern West Bank governorates of Jenin, Tulkarem and Nablus, and installed many roadblocks before stopping and searching dozens of cars. 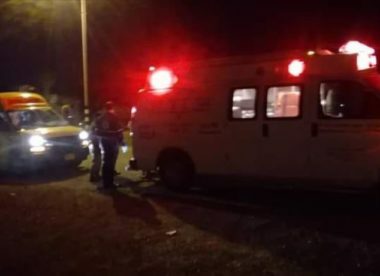 The soldiers also abducted one Palestinian in Tubas, in northeastern West Bank. Media sources in Jenin said the soldiers abducted Abdullah Abu al-Haija and Abdullah al-Ja’bari, while crossing a military roadblock the soldiers installed at the main entrance of the al-Yamoun town, west of Jenin. The soldiers also installed many roadblocks on the main Jenin-Jaffa road, and the junctions leading to the villages of Ta’nak, Kafr Dan, Rommana, and Thaher al-‘Abed, all in the Jenin governorate, before stopping and searching dozens of cars, and interrogated many Palestinians while inspecting their ID cards. Furthermore, the soldiers invaded Anabta town, and Nour Shams refugee camp, east of Tulkarem, and abducted a university student, identified as Ahmad Mohammad Shehab, 22, in addition to Nael Abdul-Karim Haikal, 29, who was taken prisoner after the soldiers stopped him at the Ennab military roadblock. In Nablus, the soldiers invaded the New Askar refugee camp, searched many homes and abducted a journalist, identified as Radwan Abdul-Qader Qatanani, 27. 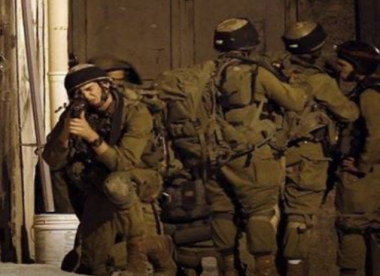 Also in Nablus, the soldiers invaded homes in the Northern Mountain area, and abducted a young man, identified as Mohammad Bahjat al-Khalili. Furthermore, the soldiers invaded Tammoun town, south of Tubas in northeastern West Bank, and abducted Emad Bani Odah, from his home. On Tuesday morning, Israeli soldiers, stationed across the border fence, fired dozens of live rounds at homes and farmlands, east of Khan Younis, in the southern part of the besieged Gaza Strip.